Brothers found guilty of clocking | What Car? Four brothers have been sentenced for their involvement in clocking used cars and selling them on. Gang leader Paul Price was jailed for 18 months, while brothers Ian, Gary and Melvin Price all received 12 months' imprisonment suspended for two years. 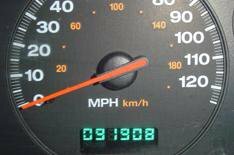 The gang sold more than 40 cars with their mileage readings reduced across West- and North Yorkshire. The most extreme case involved a car having 200,000 miles removed. One couple paid 3550 for a Renault Megane showing 78,000 miles on the clock, when the car had actually covered 140,000 miles. It cost the new owners 4000 to keep it on the road. Nicola Johnson, consumer services manager at vehicle history check provider HPI, said: 'This story shows that unscrupulous sellers see clocking as an easy way to push up the value of a vehicle. 'Its easy to get taken in by a bargain, but that dream buy could turn out to be a nightmare on wheels. Go to www.whatcar.com/car-advice and print out a full checklist before stepping foot on the forecourt.